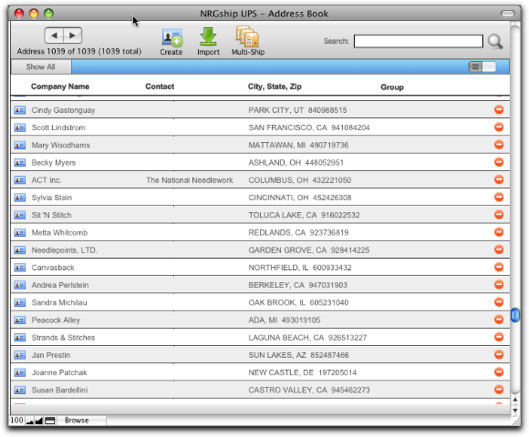 The NRGship address book allows you to manage an unlimited number of addresses. You can create a shipment right from the address book, import your address book detail if you previously used UPS.com or Worldship and even prepare or ship multiple shipments. Below is an outline of the all the functions you can execute from the address book.